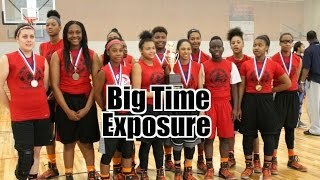 The Biggest & Best GIRLS Basketball Tournaments! 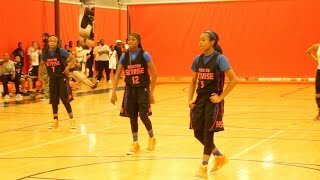 Baylor Youth hosts a LOT of ELITE girls basketball tournaments year round, so when it is comes time for the AAU Basketball and NCAA Certified Events season the coaches pour in and the courts sizzle. Are you the best? Baylor is the true proving ground. Come and Prove it once and for all. Be seen, get noticed, get on the charts officially and ranked nationally. When you attend our events your information is handed DIRECTLY into the coach's hand. Playing your best during the college exposure season starts at girl basketball tournaments and events that are not during college exposure season. The key is finding ELITE off-season events. Baylor has the Biggest and Best most competitive girl basketball tournaments, camps and events year round. All of our events are covered by the media and Baylor Youth is always on the lookout for new talent to add to our Player Profiles for recruiters. Our events offer the most college exposure and the highest level of competition. Our girls basketball tournaments have a solid reputation. They bring serious players with elite talent and bright futures in basketball. Today Baylor Event's Women Alumni are in colleges and universities nationwide. Our solid and reliably elite girls basketball tournaments bring in the coaches. Division I and Division II coaches fly in from all over the nation every year. We give our players great college exposure and media coverage.